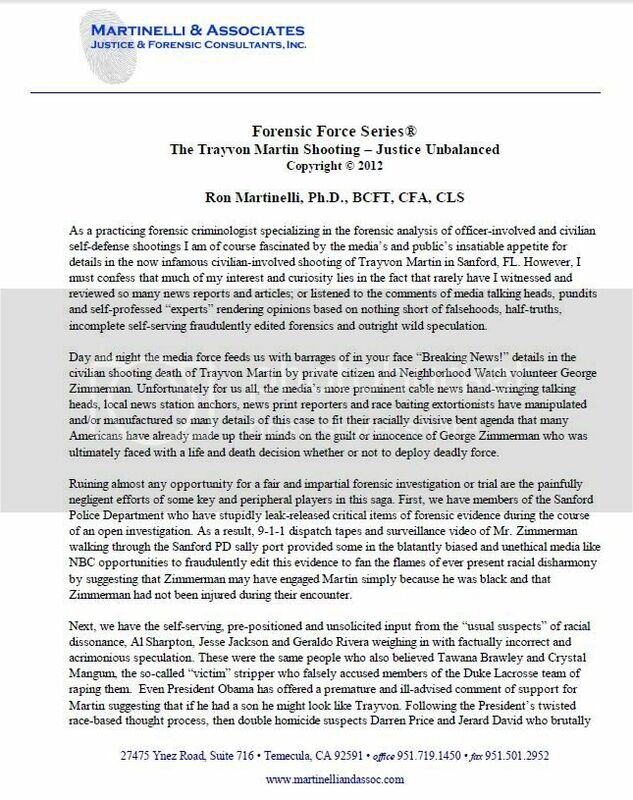 79......Report of Investigation March 6, 2012 p.
Evidence photos released by the Fourth Circuit Court State Attorney's Office in the shooting death of teen Trayvon Martin. Sanford resident George Zimmerman has been charged with manslaughter in Martin's death. Witness 18 saw a "heavier man on top"
Witness 17 heard someone yell for help in her backyard. Witness 13 called Zimmerman's wife "tell her I shot someone"
Witness 13 called Zimmerman's wife on his behalf "tell her I shot someone"
Witness 12 says George Zimmerman was on top of Trayvon Martin during altercation. Surveillance video: Trayvon Martin at 7-Eleven moments before he was shot and killed. 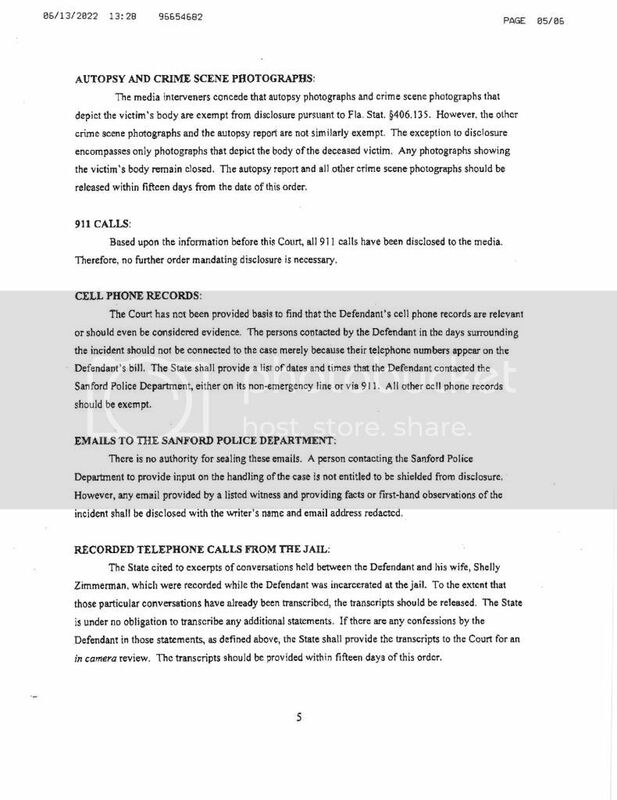 In a recorded interview with FDLE investigators, Zimmerman's father, Robert Zimmerman, disputed the assertions of Trayvon Martin's family that it was the teen heard screaming in a 911 call before the shooting. An unnamed girl, the one identified by the Martin family attorney as Trayvon's girlfriend, told Assistant State Attorney Bernie de la Rionda what she heard on the phone with Trayvon. 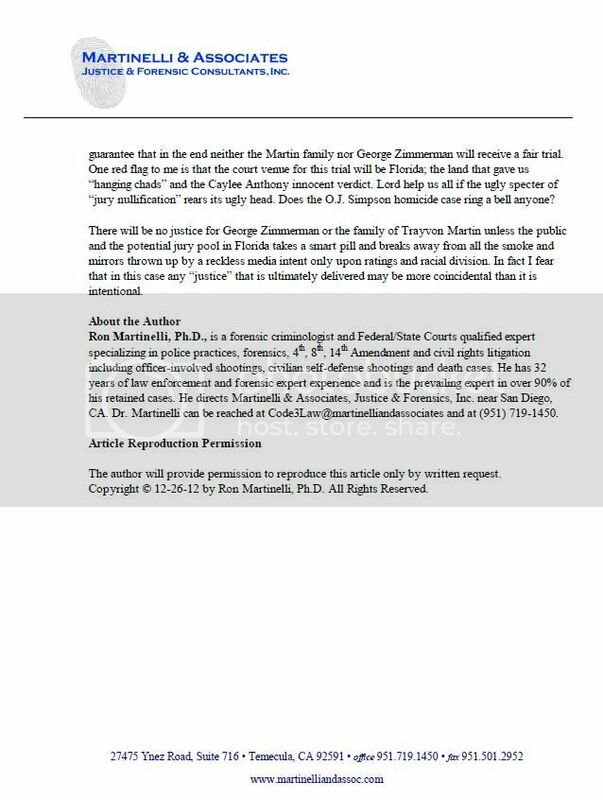 One of the witnesses interviewed by Assistant State Attorney Bernie de la Rionda was a former coworker of Zimmerman's, who said that he had issues with Zimmerman "on multiple occasions." He described Zimmerman as a bully. 911 call: "I heard a loud sound and then the screaming stopped"
Trayvon Martin case: 911 call: "I heard a loud sound and then the screaming stopped"
911 call: "Guy on top wearing white"
Trayvon Martin case: 911 call: "Guy on top wearing white"
911 call: "Pretty sure guy is dead"
Trayvon Martin case: 911 call: "Pretty sure guy is dead"
The timeline was pieced together from reports by the office of Special Prosecutor Angela Corey and prepared by Sanford police Investigator Chris Serino. 1913:36 Dispatcher advises Zimmerman "Okay; we don't need you to do that"
1919:43 Officer T. Smith locates and places Zimmerman in custody. It is the goal of the Eighteenth Judicial Circuit to ensure that the media and public are accommodated to the best of the Court's abilities during special interest/high profile proceedings. 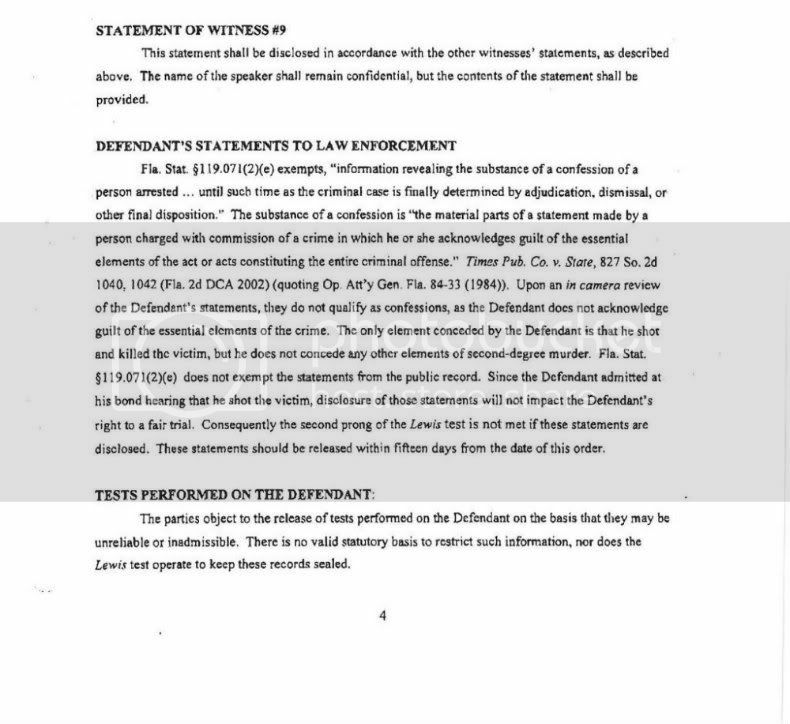 Below you will find media advisories and public record documents pertaining to State v. Zimmerman (2012-CF-001083-A). Please continue to check this website for updates. Documents will be posted as they are made available for public distribution. Full, uncut, collected testimony of "John" (Witness 6), from his initial 9-1-1 call to his interviews with the SPD, Fox 35, FDLE & SAO.